It was wicked clean and nice. It helped us out grind to find the keys to get it. It's exceptionally clean. Beautiful view and quiet. Check in accommodating and pleasant. 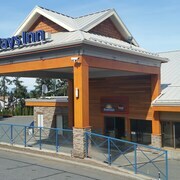 Where to find Lake Cowichan hotels near an airport? 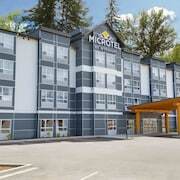 Where can I find hotels in Lake Cowichan that are near tourist attractions? Planning to spend several days in Vancouver Island and want to stay in central Lake Cowichan? Lake Cowichan offers 2 quality Expedia-listed accommodations within a 0.1-kilometre (0.06-mile) distance of the center of town. 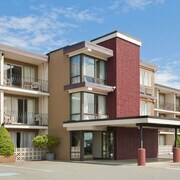 There are not many hotels to choose from within easy walking distance from the center of Lake Cowichan. The Crown House Bed & Breakfast is an ideal choice as it is only 3 kilometres (2 miles) away. The Hillcrest Ave Bed & Breakfast is 25 kilometres (15 miles) from the middle of Lake Cowichan. Alternatively, the Sensational De Paradisio is located 19 kilometres (12 miles) away. 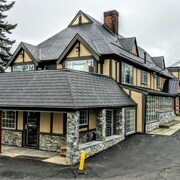 The Hawley Place Bed & Breakfast and the Crown House Bed & Breakfast are other alternative places to stay around Lake Cowichan. If time permits, you could travel to other parts of the Vancouver Island region. Visit Vancouver Island's old towns and history museums and also enjoy the region's forests. Popular things to do in this part of Canada include snowboarding, skiing and cross-country skiing. Looking for things to do? Consider spending a day or two discovering University of Victoria and Fisgard Lighthouse, in Victoria, 65 kilometres (42 miles) to the southeast of Lake Cowichan. Should you wish to stay in Victoria, be sure to check out the The Fairmont Empress and Humboldt House B&B. 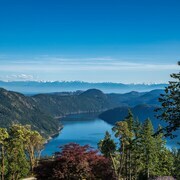 Or, you could stay in Salt Spring Island, 40 kilometres (26 miles) to the east of Lake Cowichan, where you can choose from the Seabreeze Inne and Stonehouse B&B. If you stay in Salt Spring Island, set aside a little time to check out the Ganges Marina and Ruckle Provincial Park. If you are into sports and like to watch games you could make a trip to BC Place Stadium, which is 85 kilometres (53 miles) to the northeast of Lake Cowichan. 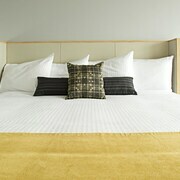 Book accommodation close to the action at the Fairmont Pacific Rim or the Shangri-La Hotel, Vancouver. Why don't you check out our Lake Cowichan travel listings and explore the fascinating things this part of the world offers visitors. 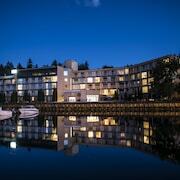 What are the most popular Lake Cowichan hotels? 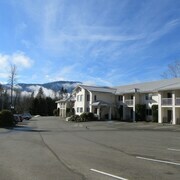 Are there hotels in other cities near Lake Cowichan? 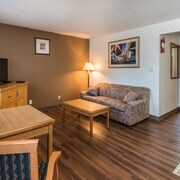 What other types of accommodations are available in Lake Cowichan? Explore Lake Cowichan with Expedia.ca’s Travel Guides to find the best flights, cars, holiday packages and more!